Long-term results on hepatitis B virus (HBV) reactivation in patients with resolved infection during anti-cancer therapy are unknown. This study investigated long-term risk and therapeutic endpoints including hepatitis B surface antigen (HBsAg) seroclearance following antiviral therapy in patients developing reactivation of resolved HBV. The study included 528 consecutive HBsAg-negative/hepatitis B core antibody-positive patients who underwent rituximab treatment or hematopoietic stem cell transplantation (HSCT) between 2006 and 2016. Long-term outcomes of patients with reactivation after antiviral therapy were examined in comparison with 37 HBsAg-positive chronic carriers under the same medical settings. The 7-year cumulative rate of HBV reactivation was 10.8% and 57.9% in patients receiving rituximab treatment and HSCT, respectively. After antiviral initiation, patients with reactivation of resolved HBV showed significantly higher 1-year cumulative rates of hepatitis B e antigen seroconversion (69.2% vs. 22.6%, P = 0.008) and HBsAg seroclearance (61.8% vs. 3.3%, P < 0.001) than chronic HBsAg carriers. Reactivation of resolved HBV was independently predictive of HBsAg seroclearance in a combined group of reactivated patients and chronic HBsAg carriers. Low viral load at reactivation was predictive of HBsAg seroclearance in reactivated patients. 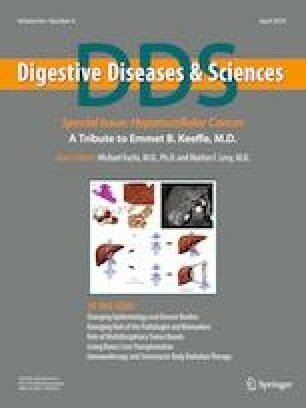 The majority of patients with HBsAg seroclearance developed anti-HBs. None of the reactivated patients who achieved HBsAg seroclearance relapsed after cessation of antiviral therapy. HBsAg seroclearance rapidly occurs following antiviral therapy for reactivation of resolved HBV infection, suggesting distinct clinical phenotypes as well as shorter duration of HBV infection associated with this particular disease setting-HBV reactivation. This work was supported by Basic Science Research Program through the National Research Foundation of Korea (NRF) funded by the Ministry of Science, ICT & Future Planning (NRF-2016R1D1A1B03930457). Study sponsor has no role in study design, in the collection, analysis and interpretation of data. JWJ and HLL were involved in study concept and design, collecting and interpreting data, JWJ, HLL, JWH, SWL, SHB, JYC, NIH, SKY, H-JK, SL, S-GC, C-KM, D-WK and JWL contributed to reagents/materials/analysis tools, and JWJ and HLL wrote the paper. All authors have approved this final version of the manuscript.